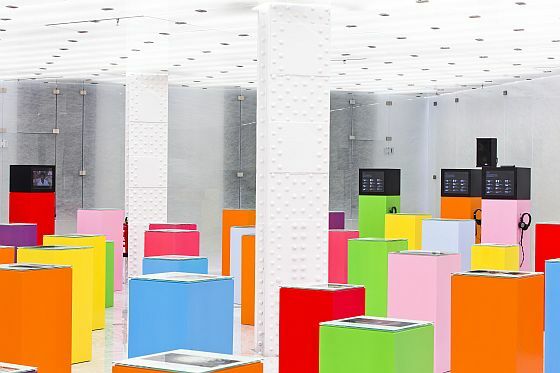 Barcelona has today inaugurated the Mobile World Centre Espacio Movistar, the first permanent exhibition and interactive space featuring the world of mobile technology, and which, from tomorrow, allows the public to get to see and experience the latest developments in this field. Thanks to this space, the Mobile World Capital Barcelona (MWCB) offers citizens a pioneering gateway to the world of mobile solutions, whilst giving companies a unique exchange platform where they can interact with users. 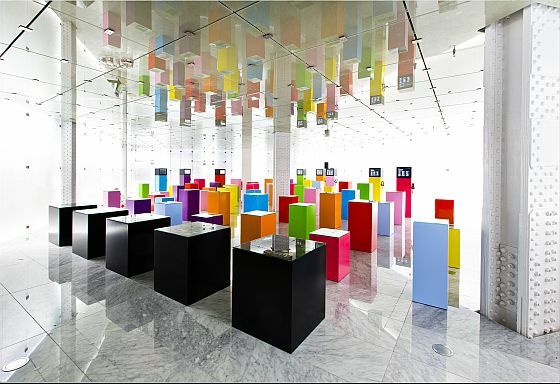 Located in Plaza Catalunya, the Mobile World Centre Espacio Movistar wants to turn the heart of Barcelona into an international benchmark in technology with the largest ever showcase of mobile telephony. The space, occupying 1,800 square metres on three floors, is a unique place to promote the use of new information and communication technologies to citizens, a chance to experiment with these technologies and show the potential of mobile communications to different segments of the population. In addition, the Mobile World Centre Espacio Movistar also aims to promote business opportunities for companies in this sector. The Mobile World Centre Espacio Movistar, along with the Mobile World Hub, Mobile World Festival and the Mobile World Congress, is one of the four pillars of the Mobile World Capital Barcelona, a project awarded to the city in 2011 after competing with over 30 cities from around the world in a competition organized by GSMA, the association representing the interests of more than 800 companies in the mobile ecosystem. The president of the Autonomous Regional Government of Catalonia, Artur Mas, will inaugurate the new facility this afternoon accompanied by the Mayor of Barcelona and President of the Mobile World Capital Barcelona Foundation, Xavier Trias, the Secretary of State for Telecommunications and the Information Society, Victor Calvo-Sotelo and the Vice President of the Foundation and President of Telefónica, César Alierta, and the Managing Director of GSMA, Anne Bouverot, and the President of Fira de Barcelona, Josep Lluís Bonet. The opening ceremony will also be attended, among others, by the Executive Vice President of the Mobile World Capital, Agustín Cordón, and its Managing Director, Ginés Alarcón, as well as the CEO of GSMA Ltd, John Hoffman, and the Managing Director of Telefónica in Catalonia, Kim Faura . The Mobile World Centre Espacio Movistar houses a permanent exhibition space that is open to the public and free to go inside, where you can see and experience the latest technology, applications and innovations in the area of mobility. Called mWorld, this space is located on the first floor, and it’s a constantly evolving area designed to be the hub of mobile telephony. It’s a place to discover the next generation of tablets with three-dimensional images and permanently network connected mobile devices, the so-called Internet of things. mWorld is made up of 4 large interactive areas. The first, mHistory, is a walk through the history of mobile telephony since 1973, when the first phone call was made from a mobile device. The mWorld Speed area is made up by a series of dynamic screens that show visitors data about mobile phone penetration, its evolution over the years and its social impact in different countries and continents. The third area, called mWorld Definition, is a space that, thanks to interactive screens and multimedia applications, delves deeper into the capabilities that mobile technology offers to transform our lives. The fourth showcase area, called mWorld Experience, is one of the central elements of the Mobile World Centre Espacio Movistar. Here we find interactive and augmented reality screens, where we can discover stories and movies created for mobiles, and cultural applications and a sample of projects from Barcelona and the rest of the world. The screens also show short films about the transforming role that mobile technologies have on global society. These include stories about how a German fisherman can sell his salmon at auction before actually making a catch thanks to a mobile application. This space also shows different initiatives in the fields of health, business and knowledge society, like the Smart Grid project designed to optimize energy consumption. It also presents prototype products and services to be launched in the future, a selection of the latest mobile applications and a tour of the main initiatives related to mobility undertaken in Barcelona. On the second floor, the Mobile World Centre Espacio Movistar has a multi-purpose area designed for temporary exhibitions and conferences, where we will see various celebrities and personalities from the fields of culture, cuisine, music and technology. On the ground floor we find the Espacio Movistar, a cutting edge shopping area where we can find the latest services available on display as well as the new technological innovations that Telefónica is developing in the digital world. Upon entering the Espacio Movistar area, we find audiovisual panels presenting the centre, with real-time information on activities being carried out on the other two floors. Audiovisuals around the sides provide a backdrop to the shop area with mWorld introductory content and commercial offers from Telefónica Movistar, while a giant 13-meter screen shows mWorld content and information about events, news, concerts and news. The shopping area is made up of interactive tables, where you can get to know the latest offers from Movistar and Imagenio, and their products and devices will be on show so the public can try them out. In the interactive area, there are another twelve screens arranged like a totem pole with information from Telefónica’s mWorld focused on innovation, services for citizens as part of the SmartCity solutions project and everything related to the M2M and the internet of things. Espacio Movistar also has a lounge area and an area for technical customer services for mobile terminal repairs and where customers can ask questions about their devices to a team of Movistar experts.